Today's Look: is all about the sparkly, graphic crop-top and pastel-striped skirt from Charlotte Russe. To start the look off, I first chose the light pink, skull top. 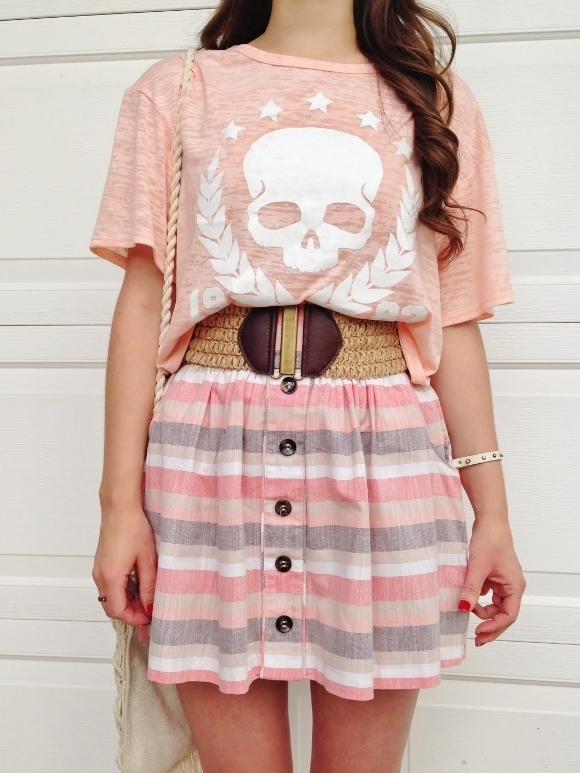 I love how the top has such a sweet, feminine color that contrasts with the edginess of the skull. Next, I chose the pastel-colored skater skirt. The skirt is embellished with buttons down the front and a woven belt. Since the belt comes with the skirt, I chose to wear my brown, high-heeled sandals to match. 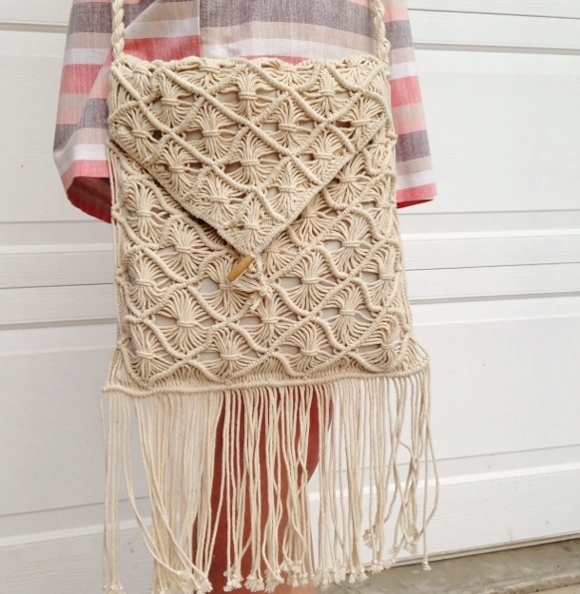 Continuing with the boho accessories to contrast with my preppy skirt and pink top, I chose to wear my crocheted, side-sling purse. Finishing off the outfit, I wore a studded bracelet, bow earrings, and two rings. Outfit Details: Top, Belt, & Skirt courtesy of Charlotte Russe ❤, Shoes by Xhilaration at Target (Prescott, Arizona), Purse and Bracelet from American Eagle (Tucson, Arizona), Earrings from Forever 21 (Scottsdale, Arizona), Rings from Aeropostale (Scottsdale, Arizona). Fashion Tip: When wearing a striped skirt, try to have the top match one or two of the colors of the skirt. If the skirt is black and white, try to wear a different color top or different stripes or prints to add variety to the outfit. Below, I included a collage of striped skirts and their links. Striped skirts and photo links found here.